Appletree Health and Wellness is at No. 126 Ranelagh Village, just a few doors up from Four Star Pizza, opposite Tesco Express. Come up the main steps and there are two doorbells to choose from depending on the practitioner you are visiting. They will let you know which one to ring. 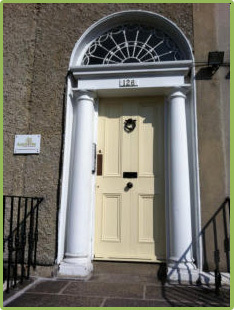 You can get the Luas and walk through Ranelagh Village to reach us. Buses that stop in Ranelagh include: 11, 11A, 11B, 18, 44, 44B, 44C, 44N, 48A and 48N. On street pay parking is available.